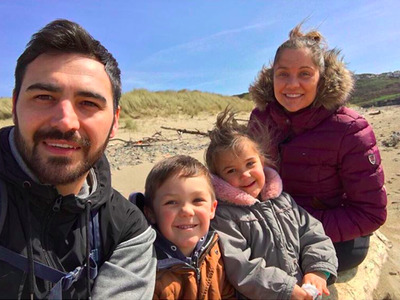 Instagram / @traveltheworldfamilyThe Fisher family are selling everything to travel the world. They are taking their two kids -- five-year-old son Kallan and three-year-old daughter Maddison -- out of school to embark on the adventure. 'If people start to tune into watching us we might start to build something from that,' Clare told Wales Online. 'Some of our time will be spent schooling the children, some time exploring and other times resting, but it wouldn't be fair to travel the world without giving some of our time to help others,' Clare said in an Instagram post. 'We are only really happy if we are travelling or planning to travel,' she said. While Clare said that when they first told family and friends, 'I can't say they were pleased,' however most are happy for the family. 'I would like to do the whole world and there is no definite plan on when we come back,' she added.